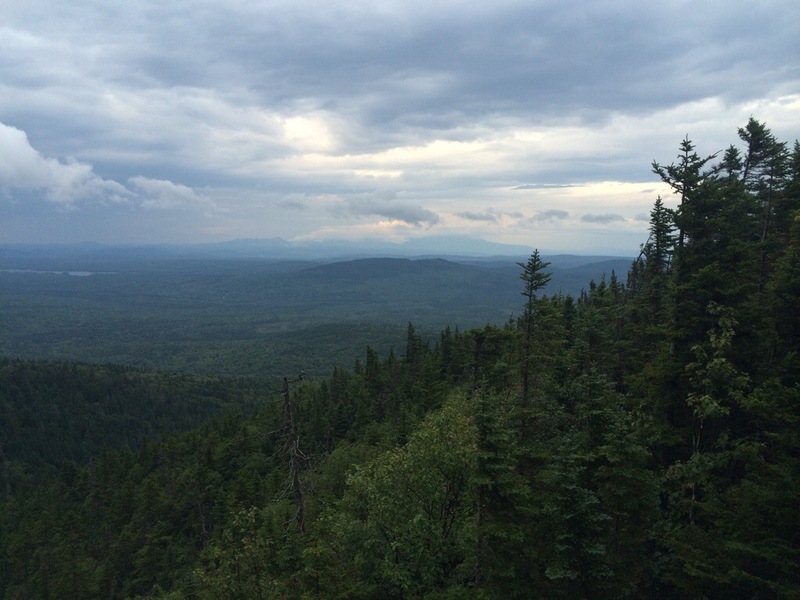 Logan Brook Lean-to, ME, AT NOBO mile 2,113.9, Thursday July 31, 2014 — Let’s start at the end. 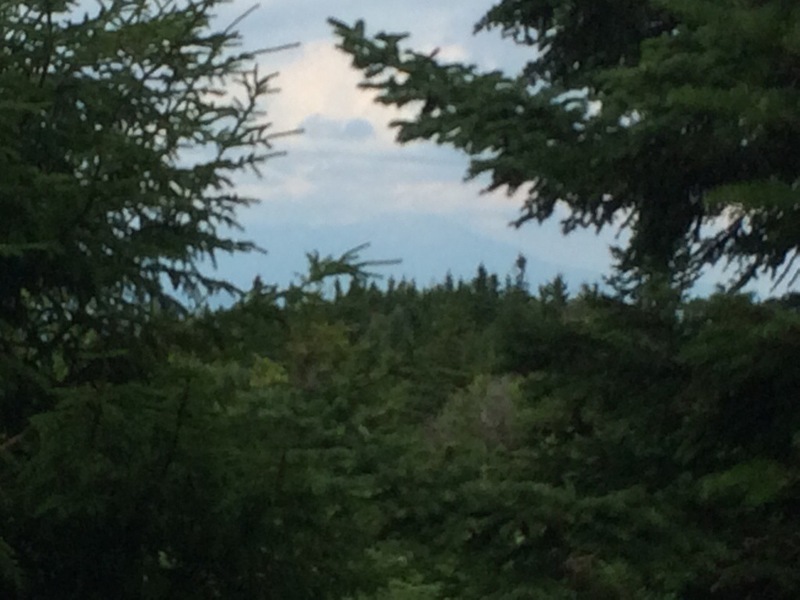 A late afternoon thunderstorm was just passing, the clouds parted and behold — the holy of holies, the end all and be all, the ultimate objective, Katahdin. Mind you it was itself shrouded in clouds, but it was unmistakable nonetheless. There it was, plopped on the far horizon like a great mound of blueberry ice cream snuggled in a cloud of cotton candy draped like a baby blanket over its shoulders. Where’s the cherry on top? That’s where I’ll be in a few short days I smiled before planting my right pole in a thru hiker pirouette to soldier on under the dripping sky. The end is actually in sight with just 71.4 miles remaining in this little party. My emotions are mixed. On the one hand it’s time to turn out the lights on this little fiesta. On the other, following the white blazes is pretty uncomplicated employment. It’s hard to give up life at two miles per hour and return to interstate speed. Today was another good day. 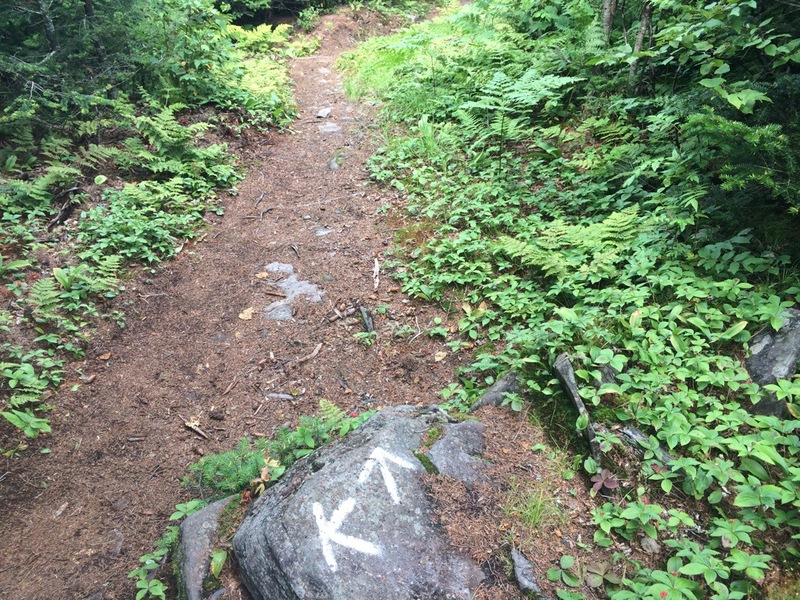 The trail was in excellent shape. At the river ford, just after the 2,100 mile mark, I met a senior trail overseer from the Maine Appalachian Trail Club (MATC) who advised me that the trail ahead of me was fast. Most of it was her responsibility. She told me the story of taking 11 years to build 1,100 stone steps down the north side of White Cap Mountain, the day’s big climb. On my way down, I realized that steps help make today’s 17 miles a relative snap. The thunderstorm caught me below treeline. Fortunately it didn’t drop much rain, just enough to freshen the mud and slicken up the roots. 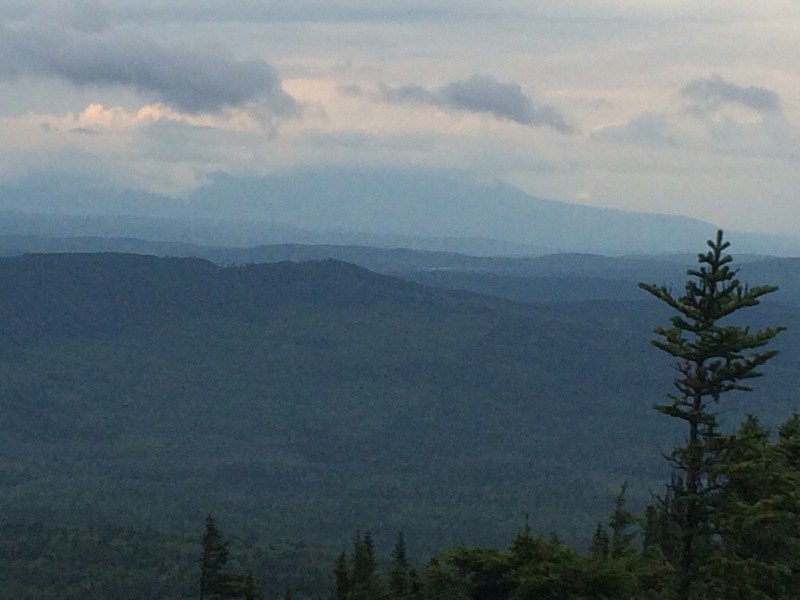 I thought I’d lose out on the first view of Katahdin, but luck was a lady this afternoon. All the young hikers are talking big miles tomorrow. The trail flattens and everyone is anxious to speed up their finish. Such competition is the coin of the realm for young men. My resupply is supposed to be delivered sometime tomorrow, tho I don’t know what time. So as for my planned speed, I’m making sure I get fed. That’s all I have to worry about at the moment. No deadlines. No hurry. The big K is one huge chunk of rock. 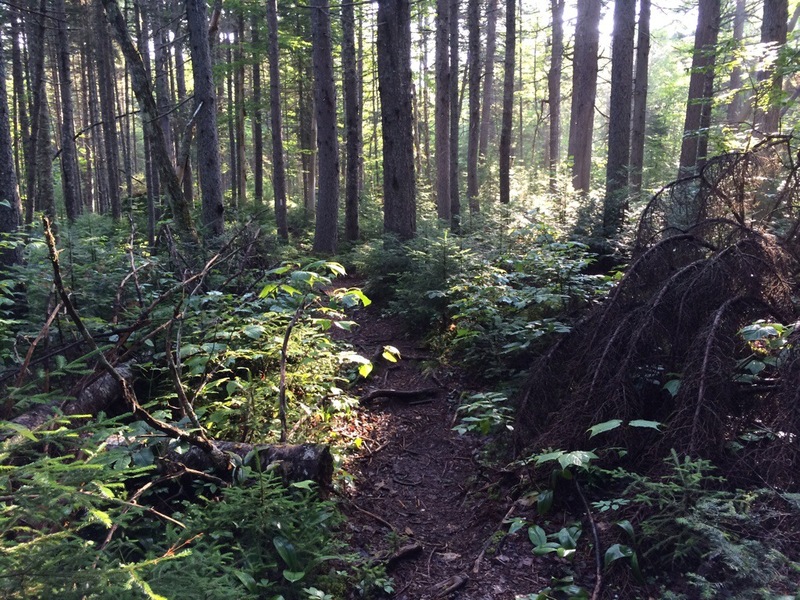 It seems the farther you go, the deeper and darker the forest becomes.